How did I get to Iceland? I flew of course because the Queen Mary didn’t seem like a great option for eight days of travel. 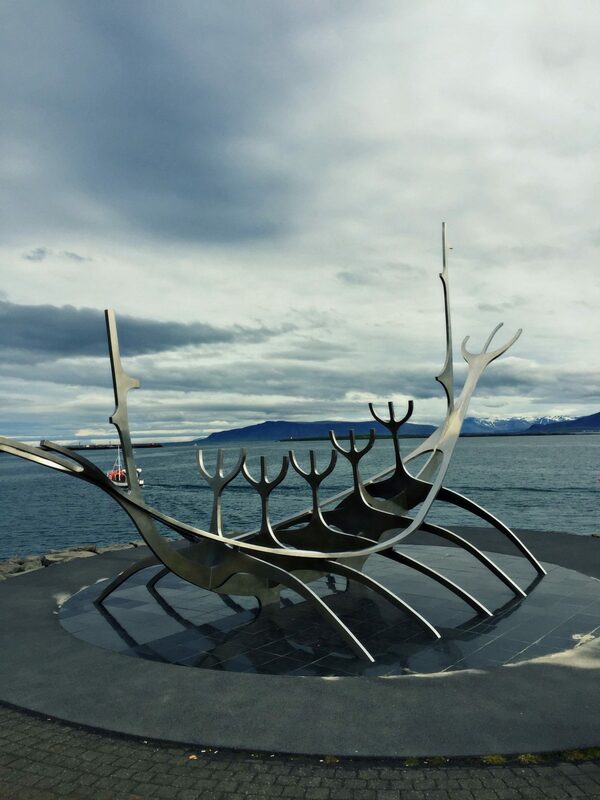 My journey took me from Chicago O’Hare to New York LaGuardia and then by bus to JFK where I patiently waited for a delayed Delta flight to whisk me to Reykjavik, Iceland a short five hour flight. A 13,000K taxi later (or $98USD), I arrived at my Airbnb apartment. 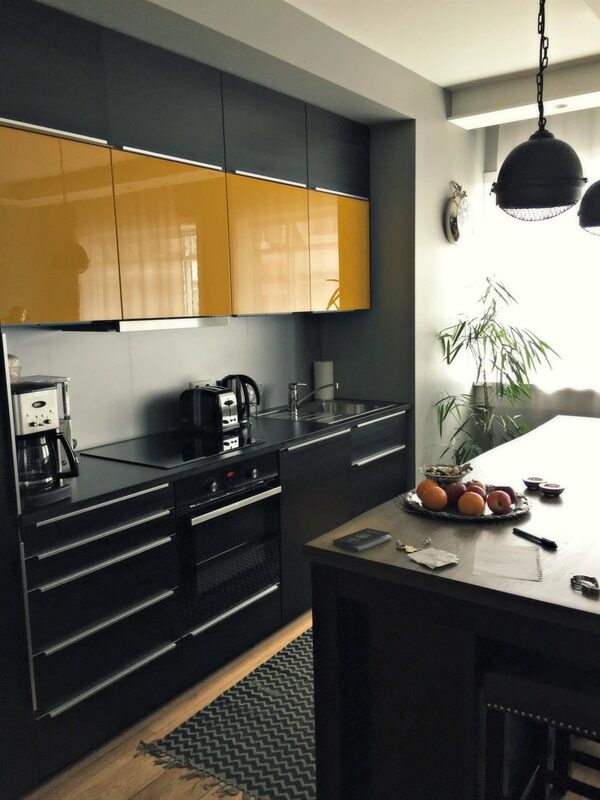 My gracious host Daiva greeted me at the door with a warm hug and delivered me to a gorgeous, sparkling clean living quarters equipped with a full kitchen, spacious living room and darling bedroom mere steps from the hustle and bustle of downtown Reykjavik. As this was my first Airbnb experience, I was very nervous but Daiva spared no detail. She stocked the refrigerator with some goodies and the counter with fruits and chocolates (I of course opted for the sweets) and she even supplied the bathroom with fun toiletries. We walked through the basics and I was out the door for a half day of sightseeing. Solfar Sun Voyager – by Jon Gunnar Arnason which may resemble a Viking ship, but is in fact a dream boat and ode to the sun. My first stop: The Atlantic Ocean just a 10 minute walk from my apartment. The crisp and fresh Icelandic air greeted my skin and awakened my senses. The sun shined brightly but the clouds loomed over the mountains and ocean. From my understanding, changing weather patterns rain, sun, wind, and repeat is an everyday occurrence in Iceland. The country is sandwiched between the North Atlantic Ocean and the Arctic Ocean and has a population of about 330,000 people. 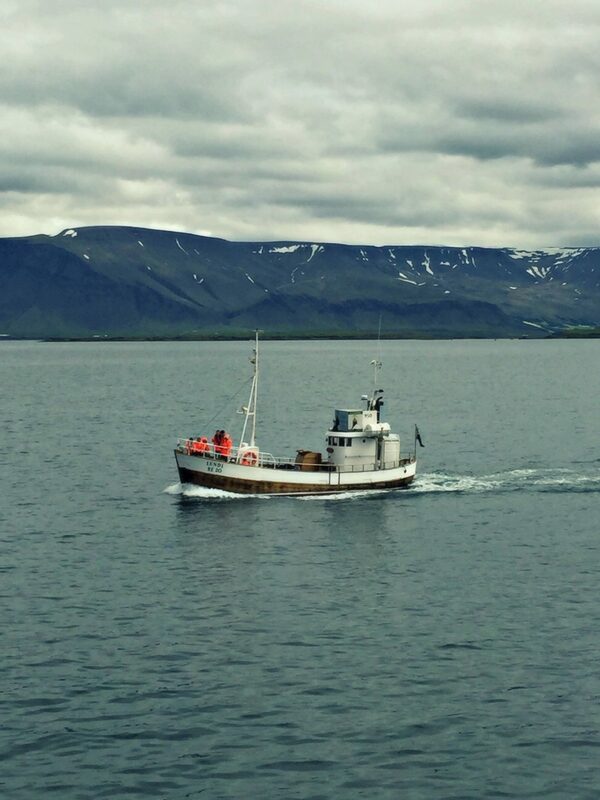 Reykjavik is the capital and also the largest city in Iceland. I’m basing myself in Reykjavik for a few days before heading to the countryside. After a brisk walk along the coast, I decided to get a sense of the city by jumping on the hop on hop off bus. It seemed like a relatively good idea at the time but taking into account I slept for only a few hours here and there the warm seats and sun beaming in through the windows my body said otherwise and I nodded off a portion of the 45 minute loop. Back on the streets, I wandered the downtown shops and eyed a few purchases for later when I have my whits about me. It’s not surprising but the stores are peddling Nordic sweaters, jewelry and some very interesting designer clothes along with lots of warm weather gear, which I suspect is very necessary here. I didn’t want to exhaust myself further because I had a big night ahead of me so I retreated to my cozy Airbnb abode and napped. Tonight, I celebrated the July 4 holiday in Nordic style at a local museum. 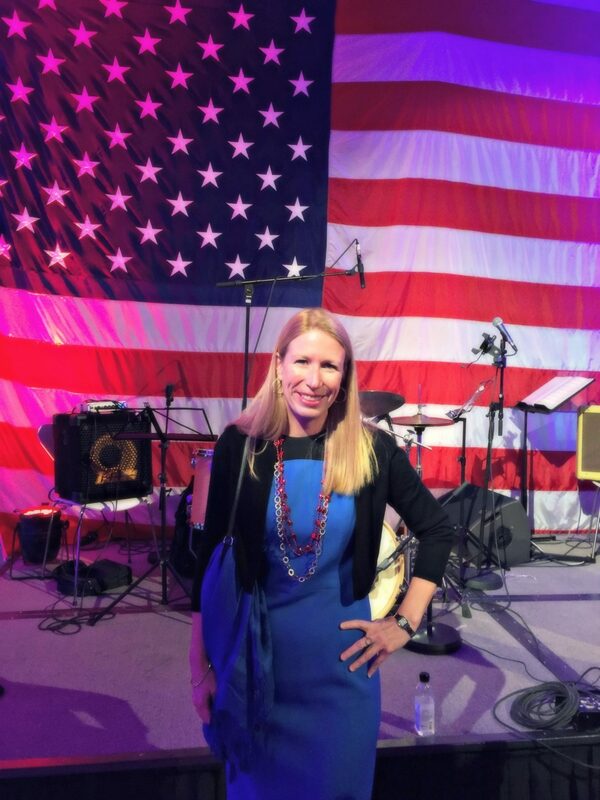 As a guest of the American Ambassador to Iceland, Robert Barner, I joined about 1,000 people also celebrating American independence. I dressed in my American blue dress (a Brooks Brother special accented with black block patterns and a black cashmere sweater) and sparkled in red beads (my friend Megan added my skin is pale enough to constitute white) and technically my hair is red. 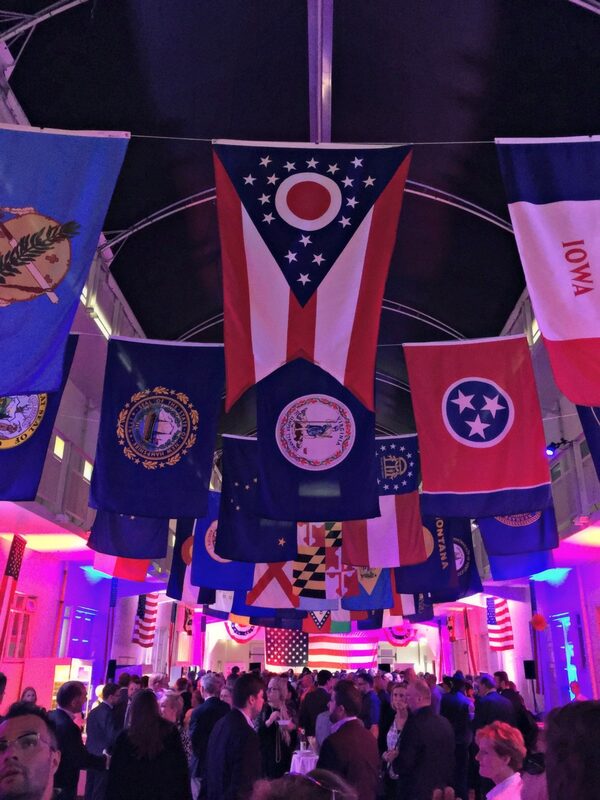 It was a beautiful event filled with flags representing each state and fiery chili from Texas, American burgers, chocolate cake and red and white wine with nothing other than Sam Adams beer (the Ambassador is from Boston). I met a few locals and talked about whales and the weather and an Embassy staff person shared with me her job and what it’s like working for the State Department abroad. She focuses on economic development and I really enjoyed hearing about her work. It’s very important that we continue to have strong partnerships abroad. 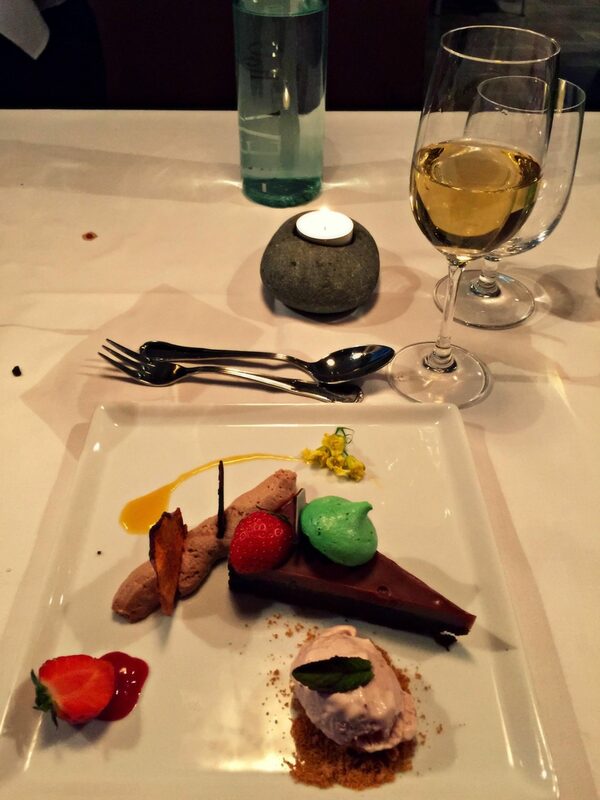 Finally, I ended the night with a 3-course surprise food and wine pairing at Fridrik 5. My New York friends Cary and Charlie recommended as their favorite go to Reykjavik restaurant so I ventured there on my first night. The flavors in their food dance and sing on a hungry person’s tongue. The sweet taste of the tomato and applesauce soup, the buttery yogurt for bread, lobster “coffee” shot, cod chips, shepherd’s pie, lanka fish (like cod), rhubarb jam and brown gravy. The last course included a variety of sweets like chocolate mouse cake, strawberries, and mouthwatering bites of sauces and chocolate squares. Fedrik 5 is a must eat. The food is delicious and made even more enjoyable but the kind serving staff. Looking forward to you topping the first day in Iceland. What a welcome for an American girl in Iceland ! What a first amazing day in Iceland. Not only am I jealous, but I’m also reliving my own awe-struck first day in Iceland when we went there 5 years ago. What a way to celebrate the US’s birthday! Not only are you enjoying diplomacy and partying in US fashion, but you look great doing it! That’s a great dress. You look fantastic. I applaud and admire your adventure. I still can’t eat a meal by myself even in my own city. You’re so freakin’ intrepid. I love it. Can’t wait to hear about the Golden Circle with Jón. Great write up!